Many thanks to all at Springbank Primary School in Eastwood who are collecting crisp packets, biscuit wrappers and bread bags for Rumbletums. 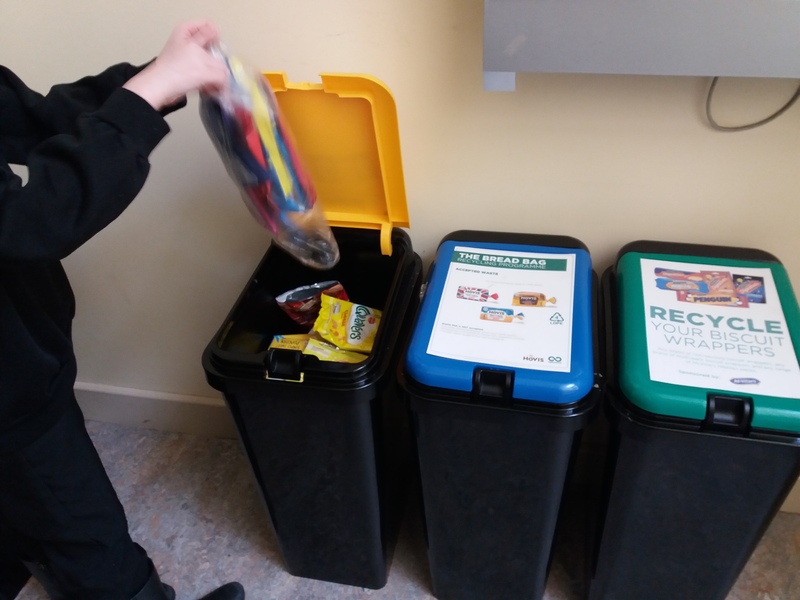 Pupils in the Eco warrior team have been put to work sorting and collecting and dinner staff are all playing their part to help children recycle. While I was there a young lady came from the dinner hall with todays lunchtime haul. Well done miss! In fact I was shown 4 boxes ready to be shipped! Keep up the good work. Pupils have been learning about Recycling and the effects of plastic in the environment. 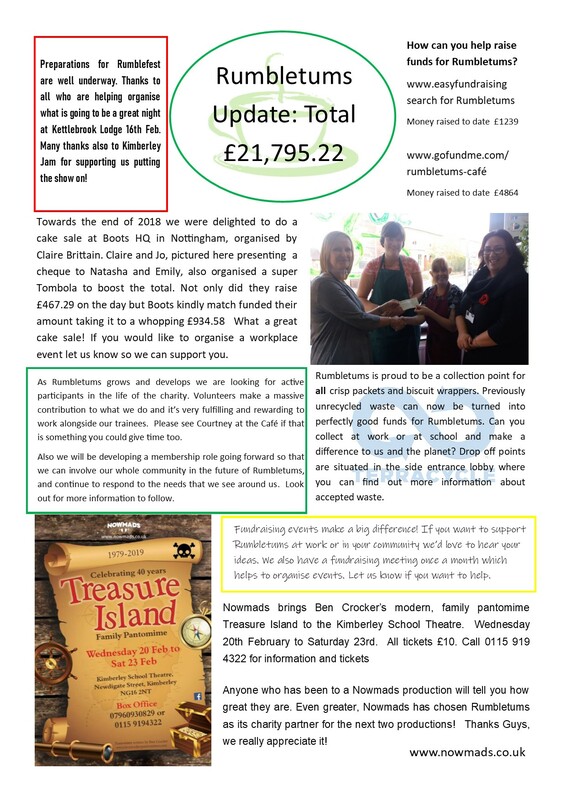 I was delighted to present a powerpoint slideshow during assembly about why and how we are collecting for Rumbletums. Pupils asked great questions at the end and showed that issues to do with waste and pollution are really well understood and very important to them. Many thanks for inviting me to Springbank! 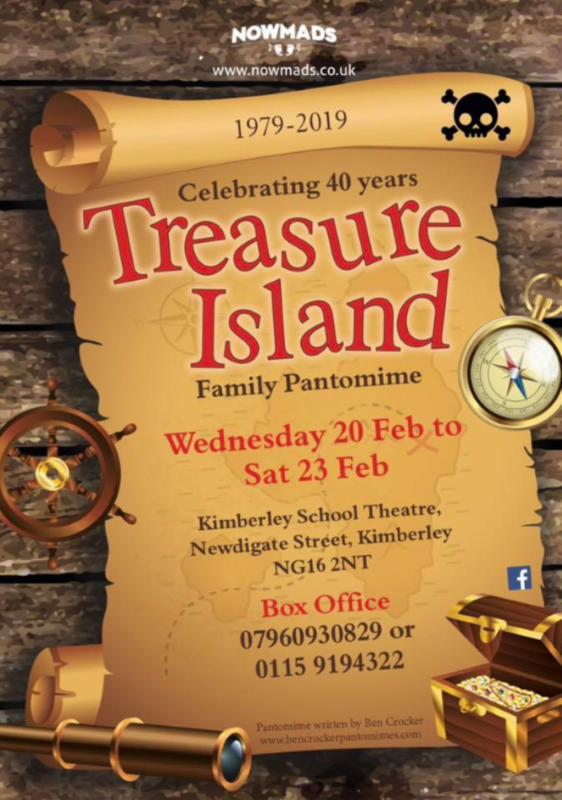 We were delighted to learn that NOWMADS raised £515.90 for Rumbletums at their recent production of Treasure Island. Shaking the buckets at half time for Rumbletums really brought out support for our fundraising. Look out for the coffee cup on the window to see where we are up to now! 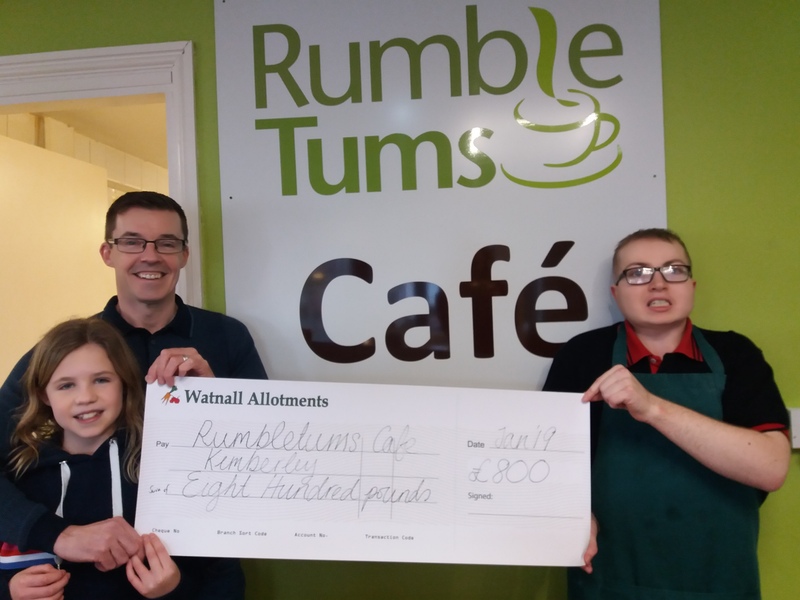 Thanks to all at NOWMADS and to everyone supported Rumbletums. 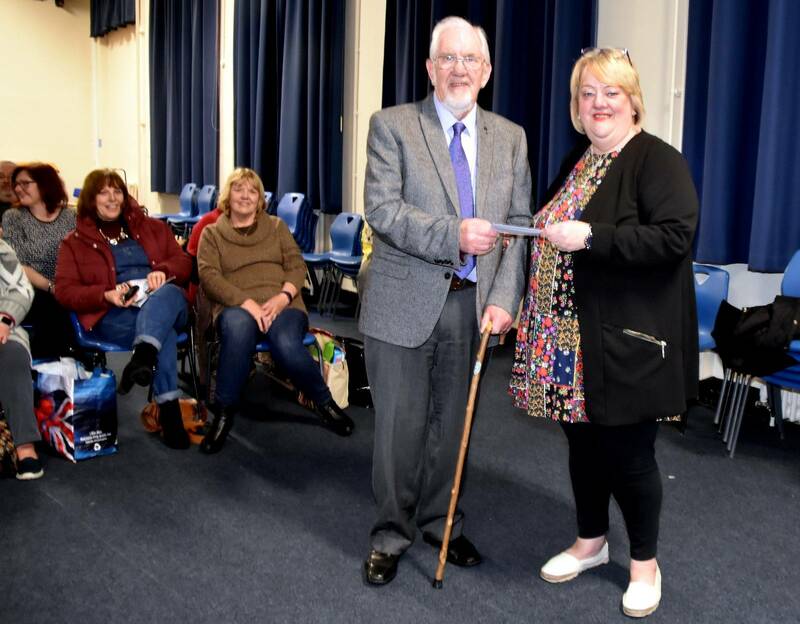 Gillian Williams of NOWMADS presenting a cheque to Derek Gardiner, Chair of Trustee of Rumbletums. 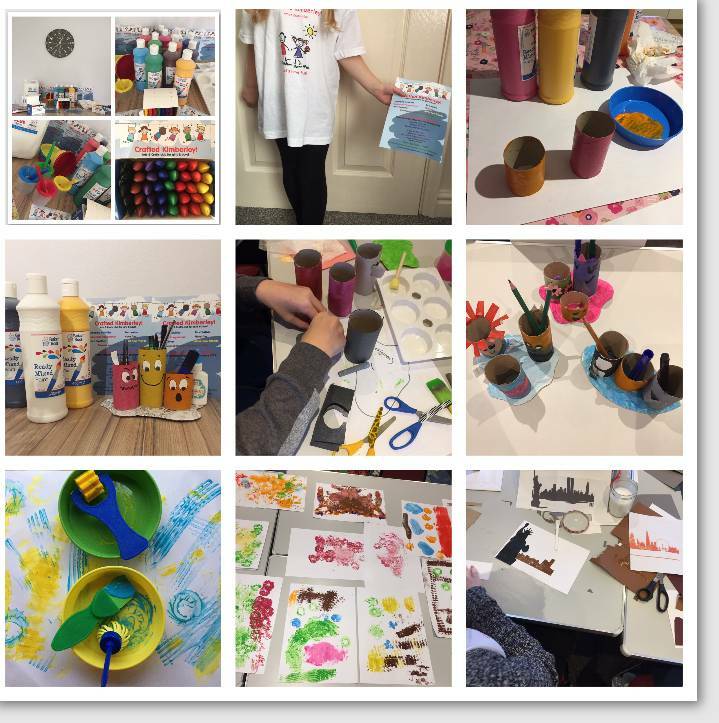 We currently have training spaces available and would be very grateful if you could share with your own networks to promote Rumbletums and the training slots we have available. 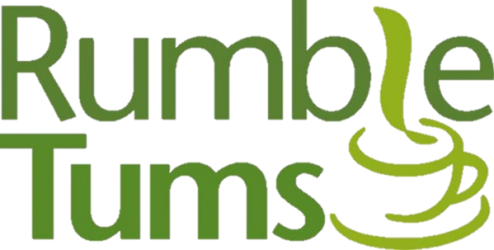 If anybody has any further questions about what Rumbletums offers, please feel free to pass on our contact details. As many of you know, we are currently in the process of raising funds to purchase the building by the end of May 2019. 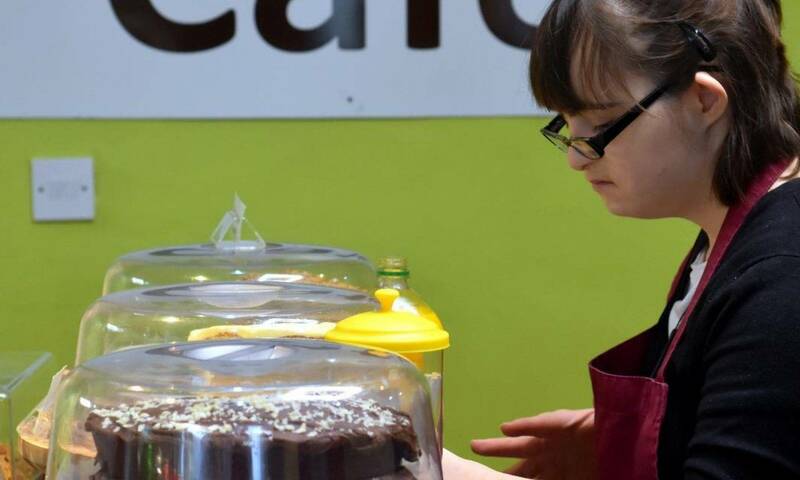 We understand the need to inform any potential new families that there may be a chance that Rumbletums will have to stop operating as a cafe and training project in the near future. 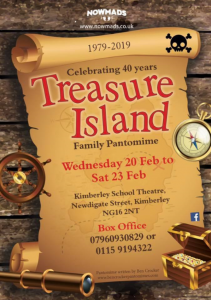 However, the Trustees view this as an absolute last resort and are continuing to work hard with staff and friends of Rumbletums to ensure the continuation of the project. We hope that you will be able to help us in our search for new trainees. Anyone who has been to a Nowmads production will tell you how great they are. 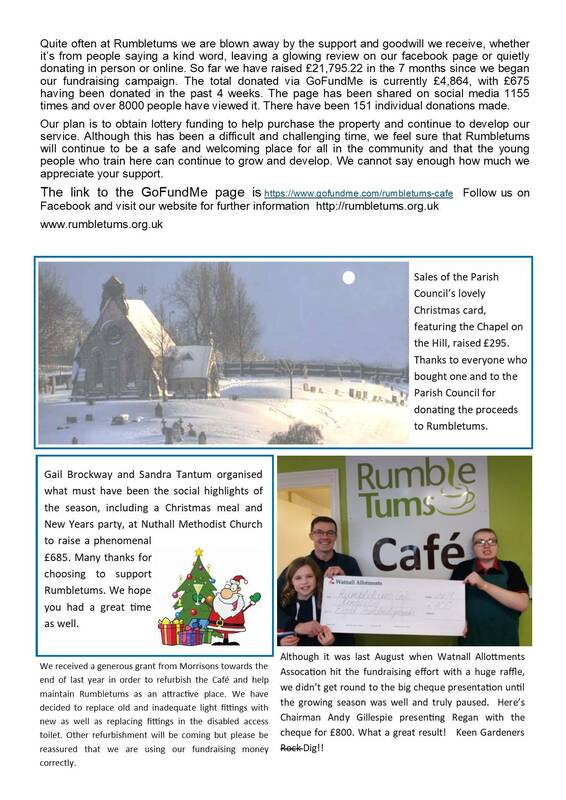 Even greater, Nowmads has chosen Rumbletums as its charity partner for the next two productions! Thanks Guys, we really appreciate it! Although it was last August when Watnall Allottments Assocation hit the fundraising effort with a huge raffle, we didn’t get round to the big cheque presentation until the growing season was well and truly paused. Here’s Chairman Andy Gillespie presenting Regan with the cheque for £800. What a great result! Keen Gardeners Rock (Dig)!! 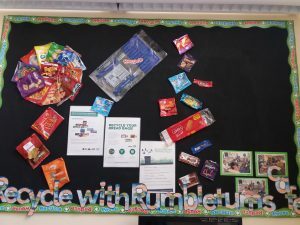 Rumbletums is proud to be a collecting point for the Terracycle/Walkers crisp packet recycling scheme. 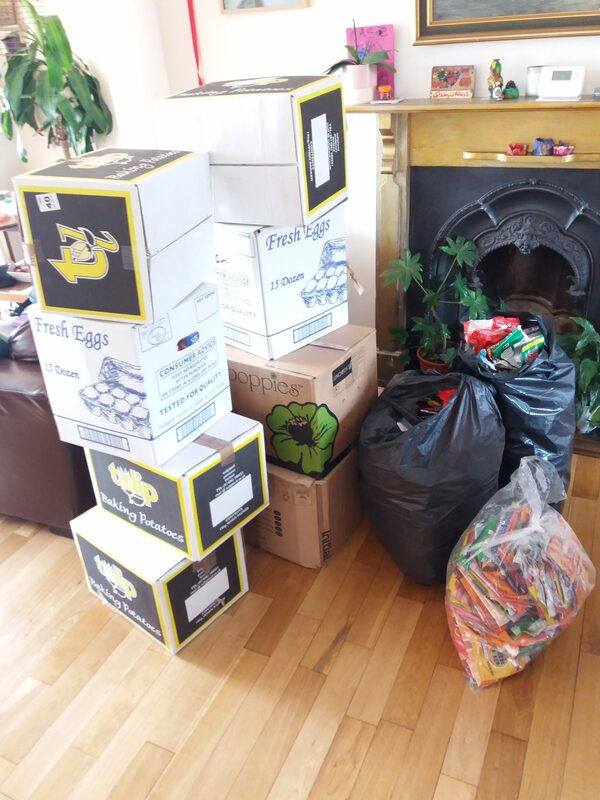 Not only that but we are also collecting biscuit and cake-bar wrappers too! Collection points are located in the side entance lobby with bins clearly marked. Details of waste that is not accepted is also on display. 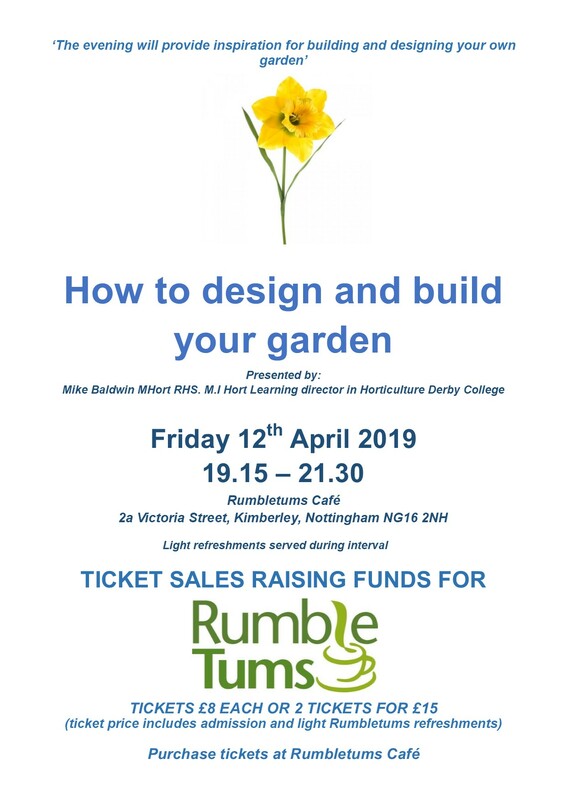 As the saying goes ‘where there’s muck there’s brass’ so happily for Rumbletums we can raise funds simply by collectiing what would otherwise be thrown away. Please join us by collecting and encouraging others to do so too. Perhaps you could set up a collection point at work or at school. Many thanks.